Around 160 women and children believed to have been abducted by Boko Haram extremists in Nigeria have been rescued by the Nigerian army, according to media reports Thursday. It follows the rescue Tuesday of 200 girls and 93 women by the country’s armed forces. 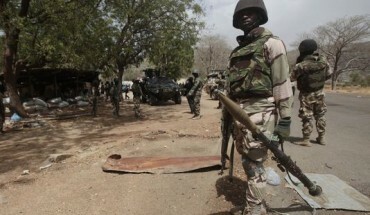 A statement from Sani Usman, the Nigerian army spokesman, said several people including a female hostage and a soldier died in shootouts in nine extremist camps in the huge Sambisa Forest in the northeast of the country, the Associated Press reported. He said some of those freed had opened fire on their rescuers. “We are still working to verify the actual number of the rescued hostages but I can say they include around 60 women and 100 children,” Usman said, according to CNN. He said eight women sustained gunshot wounds and four soldiers were seriously injured, the AP reported. An army spokesman told the Associated Press and Reuters that the 200 girls and 93 women rescued Tuesday did not include any of the schoolgirls kidnapped from the northern village of Chibok by Boko Haram militants last year. In October, the Nigerian government announced a cease-fire deal with Boko Haram that included the release of the girls. Two weeks later, the terrorist organization denied the reports and said the girls had been converted to Islam and married off.